At Ron Westphal Chevrolet, we consider ourselves very lucky to have pros on our team who are industry experts and are capable to serve all the vehicle needs of our customers living in and around Aurora, IL. Our team members are well educated and pay attention to detail that make your communication with them very effective while saving your precious time and offering the most appropriate solutions for your vehicle needs. One can bet that you are going to appreciate their patience as they not only listen to you carefully but they are experienced enough to anticipate your issues and they can quickly offer you the best. 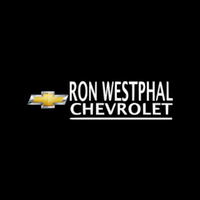 Customers who visit Ron Westphal Chevrolet whether they come from Aurora, IL or anywhere else, our team members treat them as individuals and make them feel welcomed. You’ll experience the same extraordinary customer care whether you visit our service center, parts center or any other department. Visit Ron Westphal Chevrolet in Aurora, IL and let us make you feel at home. Joe Fosco has been a Plainfield resident since 2004 and has been involved in the automotive vehicle sales industry for the past 22 years, with 20 years at a Chevrolet dealership. He started working with the Ron Westphal Chevy team in 2015 and is currently our General Sales Manager. Joe enjoys working with the public, makes friends easily and orders the perfect mix of new inventory for our dealership. Joe is currently engaged and he and his fiancé have a very cute toddler named Olivia. He enjoys spending evenings at home with his family and their Dachshund wiener-dog named Ally. Always passionate about cars, you can frequently find Joe at the Drag-Strip racing his own General Motors race car(s). Don Friedel has been in the car business for the past 25 years. He enjoys meeting new people and has been employed at Ron Westphal Chevrolet since 2012. Don and his wife have 2 daughters and one son. His oldest daughter is attending Alabama University, his son will soon be playing football for Minnesota State and his youngest girl is active in gymnastics while attending Geneva High School. Don married his childhood sweetheart and has been happily married for over 23 years. He and his family are avid campers and take an extended camping vacation every year. They own a lively rat terrier named Lucky that was a Christmas morning gift for his children 11 years ago. Joe has over 17 years of GM Dealership experience and is a recent addition to the Ron Westphal Chevrolet team having started as a sales manager here in 2015. He is a Lockport, IL resident currently driving his 8th GM vehicle and has been happily married to his wife Gina for the past 12 years. Their 2 energy-filled sons enjoy playing with the family dogs, a brother/sister Pit Bull duo named Ghost and Boo. On any given weekend you might find Joe on the golf course or engaging in a outdoor sporting activity with his young sons. Or, he may be at a motorcycle show with his Harley Davidson custom bike. BTW, Joe recently won Best in Bagger Class at the World of Wheels Bike Show at the Donald E. Stephens Convention Center in Rosemont. Mike Kalsto and his lovely wife Kristen are newlyweds after dating for 1 1/2 years. Their dog JD is a large and lovable Chocolate Lab/Mastiff mix that loves everyone. Mike’s father, Ben Kalsto, worked in sales at Ron Westphal Chevy for many years. Mike followed in his dad’s footsteps and now has over 12 years of experience in the car business. Family is very important to Mike and seeing as his dad was one of 13 children, there’s a whole lot of family to go around. All his relatives live nearby so family get-togethers are a very common occurrence. Mike is definitely a truck-guy and toggles back and forth between driving a Chevy Tahoe or a Silverado. And, with the baby on the way, they’ve got a brand new 2016 Traverse on order. Mike enjoys working out along with outdoor activities like golf. He and Kristen also love to travel whenever they can, especially to warm and sunny locations. Richard Graham has General Motors in his blood. His family ran the local Pontiac dealership in Joliet, IL (Jim Graham Oldsmobile) until they sold the business 1991. He grew up in Plainfield, IL and graduated from Marmion Military academy. Richard started in the car business in 1961 has worked at several nearby dealerships in his career. When his last dealership got bought out by a national chain, he joined the Westphal Chevy Team and has been working in our sales department for the last 4 years. Richard married his lovely wife Janet 39 years ago and they have 3 grown children. They also have 2 furry kids, a Pomeranian named Ciara and a golden retriever/poodle mix named Shrinkie. In his spare time he enjoys visiting with family, landscaping and working in their backyard. Robert Ithier speaks fluent Spanish and English and is the youngest of 16 children (12 boys, 4 girls) born and raised in Milwaukee, Wisconsin. Robert’s parents emigrated from Puerto Rico and were married for 60 years before his mom passed away 16 years ago. His dad is in is 90’s and currently resides with one of his brothers in Milwaukee. Robert has been married for 27 years and has 2 beautiful daughters. He has been working in automotive sales since 1993 and moved to Oswego, IL 8 years ago from Aurora. Robert’s hobbies include cooking (and eating) and he often brings in his yummy, homemade dishes to share with his fellow employees. And, nearly every weekend you can find Robert watching baseball, basketball or football. Brian has been a popular member of our sales team for over 4 years. He is extremely well-versed in everything Chevrolet and is especially familiar with all the latest technology GM has to offer. His clients appreciate his low-key, no-pressure selling style. Brian owns his home in nearby Bolingbrook, IL with his charming girlfriend of 12 years, Linda. Brian attends gun shows in his spare time and is an avid gun collector with a particular weakness for Smith and Wesson models ranging from handguns to rifles. You can often find him on the weekends practicing at the local shooting range. He also enjoys outdoor activities such as gardening, boating and fishing with his family.